Little Timmy comes home from kindergarten one day and tells everyone, "I wann be an Engineer when I grow up." No one bothers to question his decision, they're happy he wants to be an Engineer. Everyone tells him, "Well you've gotta work hard in school, Timmy, especially in math." So Timmy does as he's told and works hard at school. He studies hard every night, even taking extra courses on the weekends in High School and getting tutored in arithmetic. Finally he graduates and goes off to a college to start a barrage of Engineering courses. After his first week at college he comes back home to visit and his family asks him how he likes his new classes. "I don't like 'em," Timmy spits angrily. "Why not?" his family asked. "Been there a week and they ain't said nothin' 'bout trains at all!" When i was a student of school then the girls of my class were made some girls jokes. They shared those jokes among the all students, those jokes were very funny. So, now i want to know some girls jokes from all of you. Please share some girls jokes. Cindy Sherman and her husband were fighting. "I don't know you anymore!" he said. "It's like you're a different person every time I see you." I take great pleasure in informing you that the WC is situated about nine miles from the house in a beautiful grove of pine trees surrounded by lovely grounds. It is capable of holding 229 people and it is open Sundays and Thursdays only. As there are a great number of people expected during the summer months, it is an unfortunate situation, especially if you are in the habit of going regularly. It may interest you to know that my daughter was married in the WC and it was there that she met her husband. I can remember the rush there was for seats. There were ten people to every set usually occupied by one. You will be glad to hear that a good number of people bring their lunch and make a day of it, while those who can afford to buy a car arrive just in time. I would especially recommend your ladyship to go on Thursdays when there is an organ accompaniment. The acoustics are excellent, even the most delicate sounds can be heard everywhere. The newest addition is a bell donated by a wealthy resident of the district. It rings every time a person enters. A bazaar is to be held to provide plush seats for all since the people feel is long needed. My wife is rather delicate and she cannot attend regularly. It is almost a year since she last went, and naturally it pains her very much to not be able to go more often. I shall be delighted to reserve the best seat for you, where you shall be seen by all. For the children there is a special day and time so that they do not disturb the elders. Whats the difference between a congressman and a catfish? One is a scum-sucking bottom feeder, and the other is a fish! Is anyone able to explain this to me?? 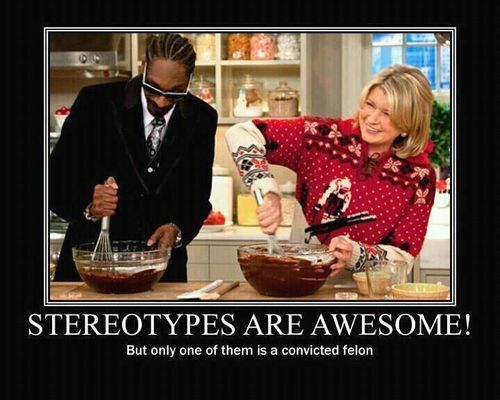 I know Snoop Dogg's been in and out of prison but I thought this was meant to be ironic that it was assumed he'd be in prison but she was instead? ?